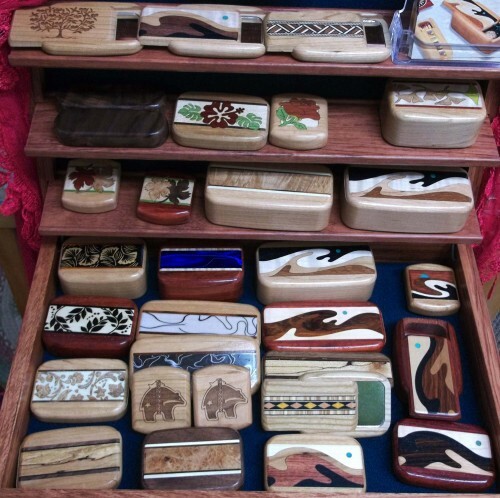 NEW Heartwood Boxes – JUST IN! What will you use your box for? Tiny parts, Jewelry, Pins, Pill box, Buttons, Money? 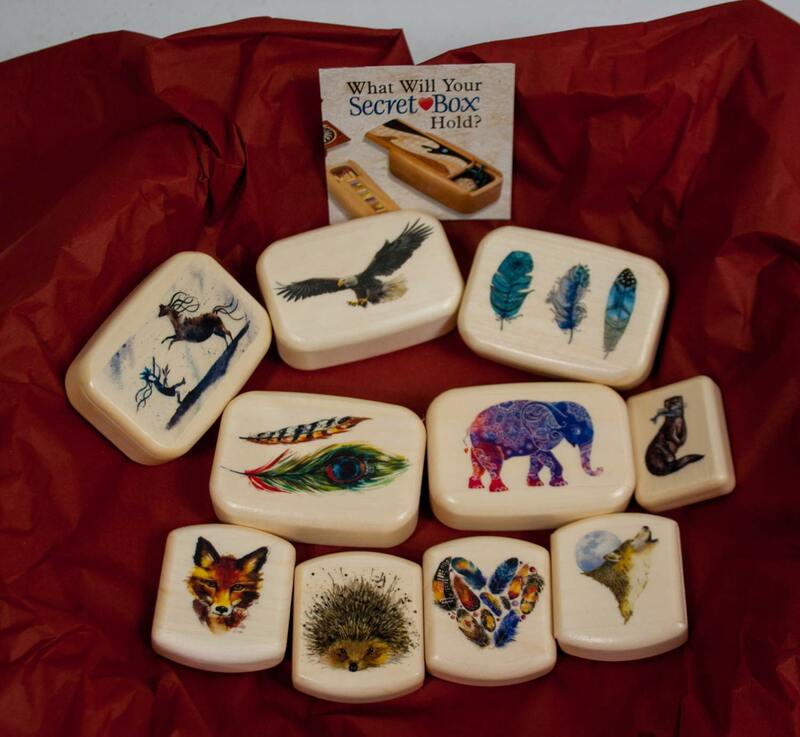 Anything will be safe in a Heartwood Creations box. Made of various woods, these secret boxes have a hidden sliding dovetail lid. The cunningly crafted Inlay is hand applied to each box. We have a large Collection to choose from.